In the last two decades, cosmology, particle physics, high energy astrophysics and gravitational physics have become increasingly interwoven. 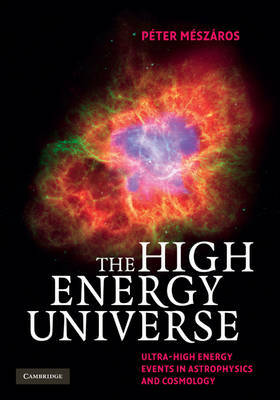 The intense activity taking place at the intersection of these disciplines is constantly progressing, with the advent of major cosmic ray, neutrino, gamma ray and gravitational wave observatories for studying cosmic sources, along with the construction of particle physics experiments using beams and signals of cosmic origin. This book provides an up-to-date overview of the recent advances and potential future developments in this area, discussing both the main theoretical ideas and experimental results. It conveys the challenges but also the excitement associated with this field. Written in a concise yet accessible style, explaining technical details with examples drawn from everyday life, it will be suitable for undergraduate and graduate students, as well as other readers interested in the subject. Colour versions of a selection of the figures are available at www.cambridge.org/9780521517003.